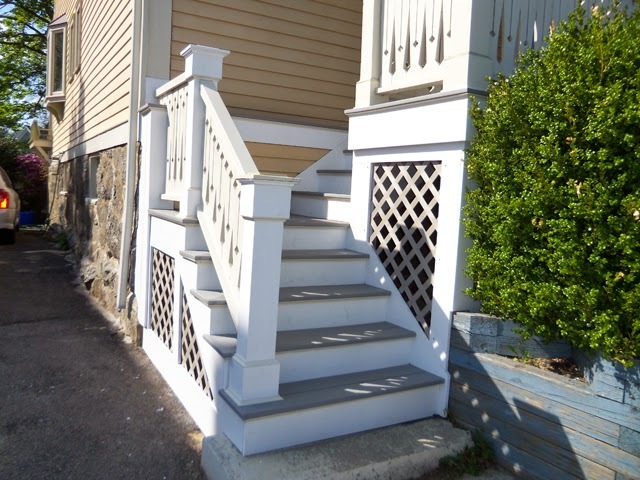 The photos below are a job we did in Beverly in May 2014. 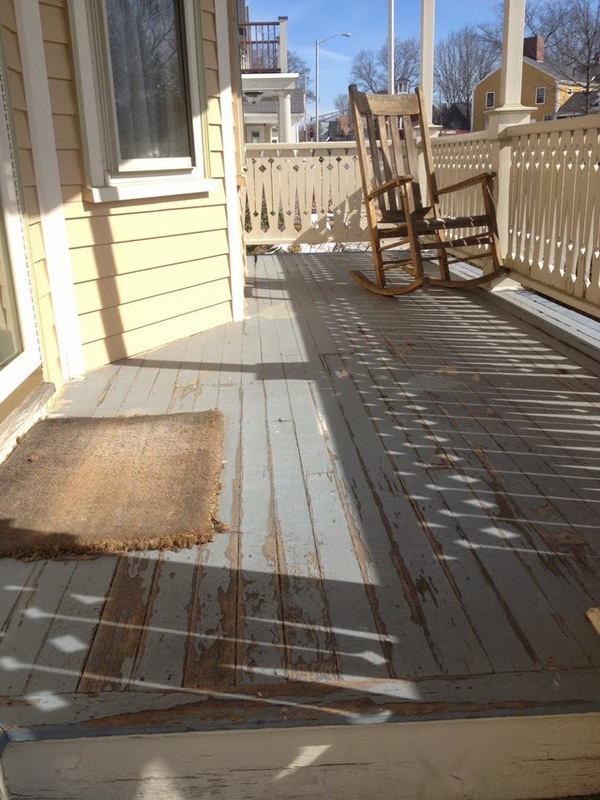 The fir porch flooring and pine trim were quite rotted and would not hold paint. 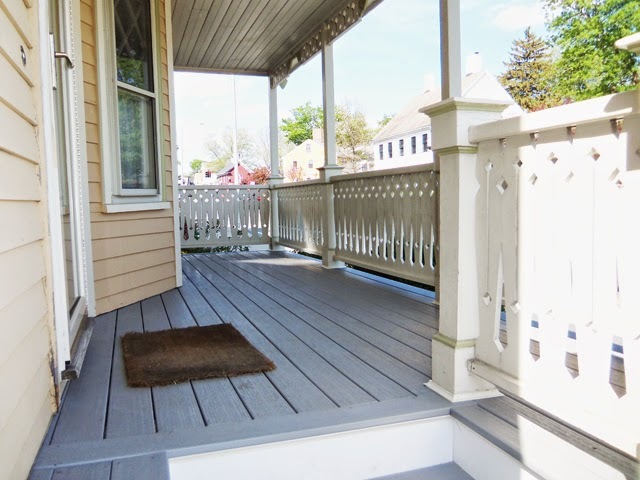 We replaced the tongue and groove floor with 5/4 PVC decking, and the pine trim was replaced by pvc trimboards. 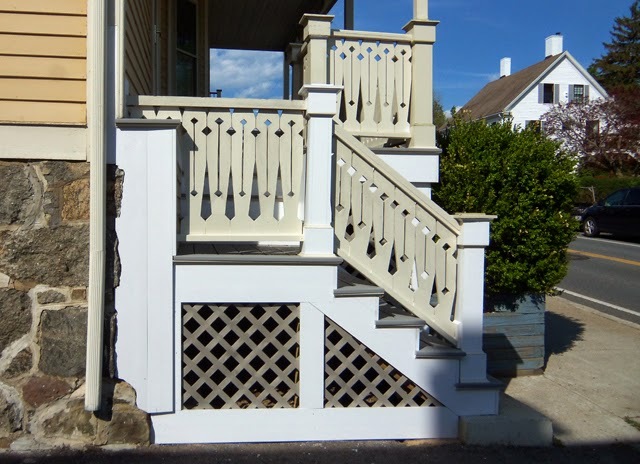 The new scotia molding is also PVC. 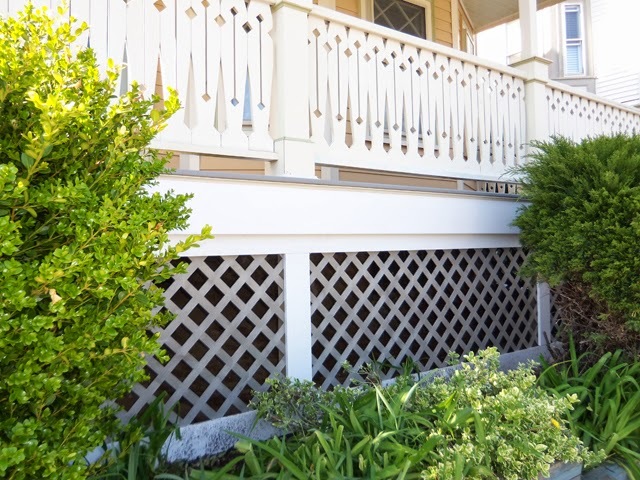 Hidden clips hold the slotted deck boards in place, and color-coded deck screws are used for the leading edges and “picture frame” edging. The PVC trim is attached with stainless screws and nails. 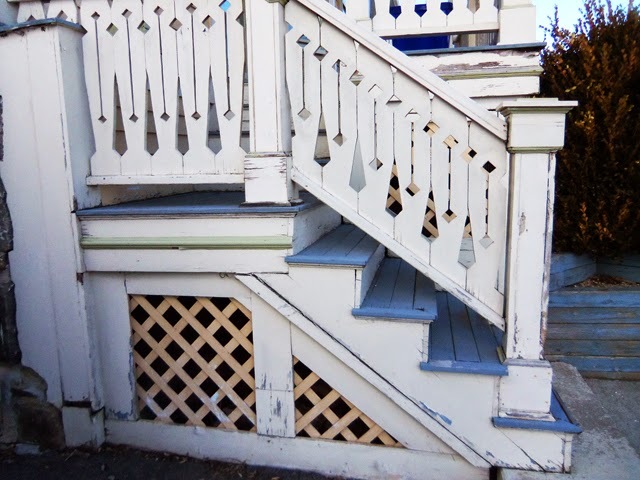 Replacing all of the sawn balusters with PVC sawn balusters was determined to be too expensive, so I cut out the rotted sections and filled them with Bondo filler and/or PVC trim. 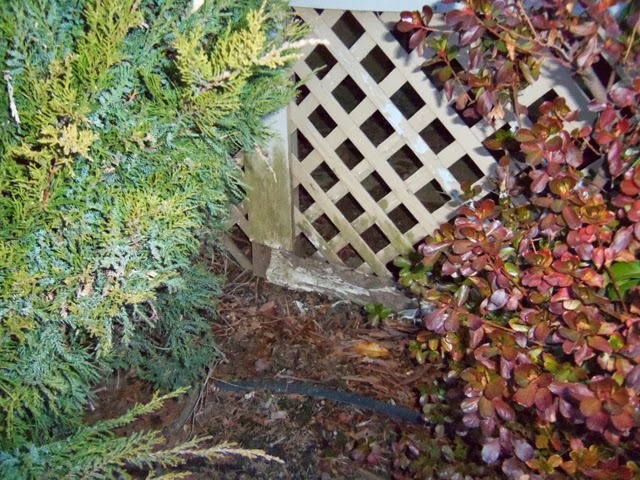 The 1/4″ wood lattice was replaced with gray 1/4″ PVC lattice. 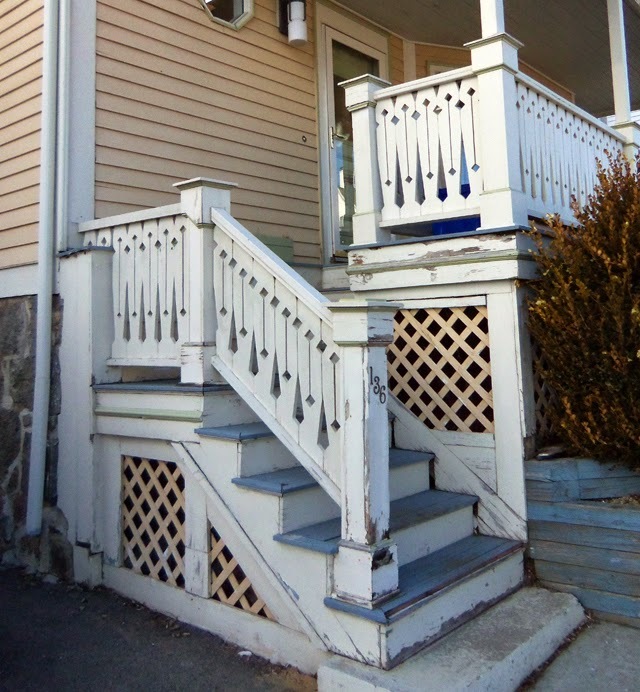 The owners will paint the trim boards to match the rest of the house, and we have found latex paint to bond very well to this product.